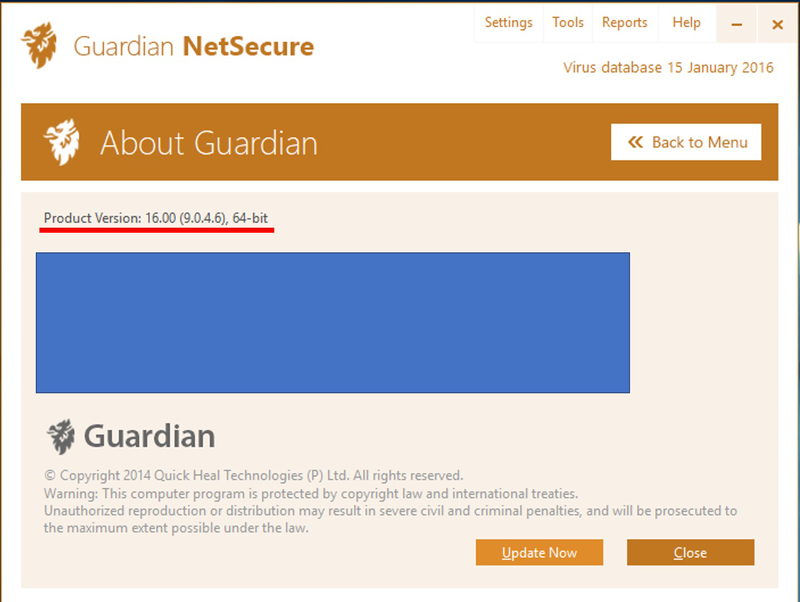 If you are using Guardian NetSecure version 16.00 or older, you need to upgrade to the latest version (17.00), before installing the offline updates. On the top right, click the Help menu and select About. Here you will find the version of your product. Download the required updates for your Guardian product. Save the downloaded file on your system. Click the Update Now button on the dialog box that appears. If you are using the build version 10.0.35.1, you need to upgrade to the latest build, before installing the offline updates. You can download the latest upgrade setup from here.